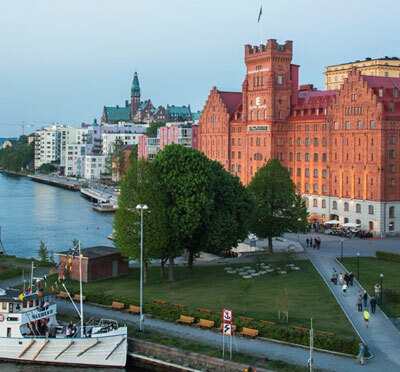 At Elite Hotel Stockholm Plaza, your conference takes on a solemn fin-de-siècle setting in central Stockholm. The well-equipped and elegant facilities flood in natural daylight and can accommodate up to 30 delegates. All rooms feature data projector, flip chart, whiteboard, TV and DVD. Our three conference venues boast direct dial telephone for data communication and wireless internet connection. We can also offer speaker equipment. Naturally, further technological aid can be organised at request. An adjacent lounge is set up for a pleasant coffee break. Here we have lighter refreshments and snacks as well as coffee and juice during your conference. Lunches are held in collaboration with the highly acclaimed restaurant Vassa Eggen. Have you been to Elite Hotel Stockholm Plaza and want to give your own comments?